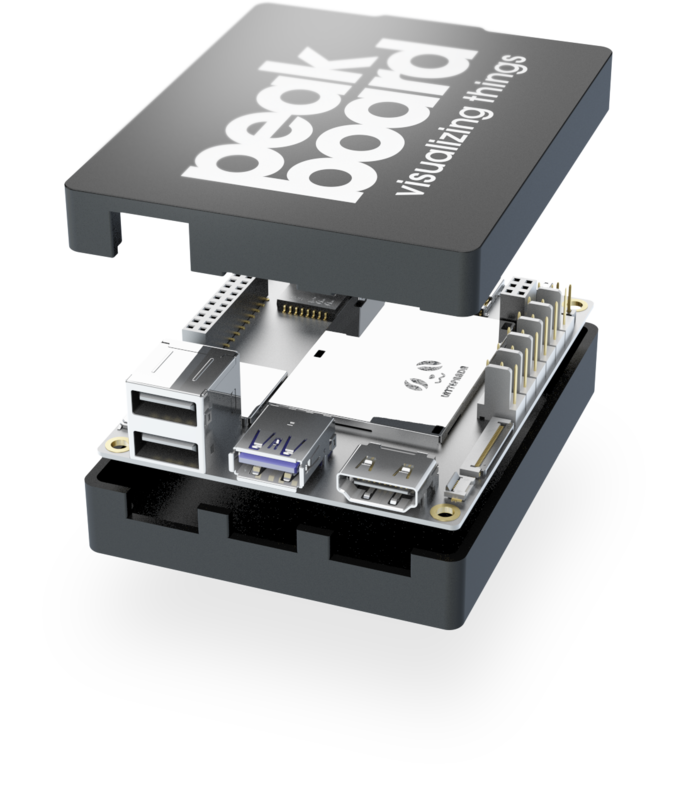 Peakboard is an all-in-one solution consisting of software and hardware for the aggregation of data from various sources and their visualization in real time. The Peakboard directly accesses a data source via WLAN or LAN, aggregates the data for visualization and transmits it via HDMI cable to the desired (large) screen, for example in logistics, production or administration. Possible data sources range from machine data (S7 and OPC UA), sensors, ERP systems such as SAP to Excel and cloud solutions.